New research from the Cornell Lab of Ornithology’s Fuller Evolutionary Biology Program shows that the genetic differences between Golden-winged and Blue-winged Warblers are found in just six regions (or .03 percent) of their entire genomes. One of those regions contains genes that control throat coloration. Illustrations by Liz Clayton Fuller, Bartels Science Illustration Intern. On September 15, 1835, none other than John James Audubon wrote a letter to his friend the Rev. John Bachman, a Lutheran minister and eager naturalist in Charleston, South Carolina, in which Audubon mused that Golden-winged Warblers and Blue-winged Warblers might be the same species. More than 180 years later, the most advanced ornithological methods of genome mapping and DNA sequence analysis show that Audubon was on to something. New research from a team led by scientists from the Cornell Lab of Ornithology’s Fuller Evolutionary Biology Program show that, genetically speaking, Golden-winged and Blue-winged warblers are 99.97 percent alike. 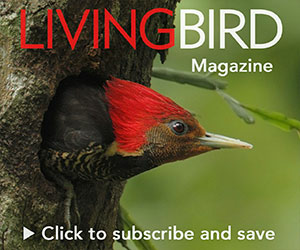 The findings—published in the September 2016 issue of Current Biology—could affect the conservation strategy for Golden-winged Warblers, a candidate for federal Endangered Species listing and one of the fastest-declining songbirds in North America (down 66 percent since the advent of the North American Breeding Bird Survey). In many ways, Golden-winged Warblers and Blue-winged Warblers appear to be completely distinct species—they look different, they sing different songs, and in recent history they have lived in different places, with golden-wings in the Northeast and upper Midwest and blue-wings in a band slightly farther south from the Ozarks to the Appalachian Mountains. Where the two species overlap, they produce hybrids—including the forms called Brewster’s and Lawrence’s warblers. In the study, Cornell Lab postdoctoral researchers Scott Taylor and David Toews—collaborating with partners from Cornell University’s Department of Biological Statistics and Computational Biology, the University of California at Riverside, and Environment and Climate Change Canada—showed that though Golden-winged Warblers and Blue-winged Warblers look distinct, those differences may be only skin deep—or in this case, feather deep. Taylor and Toews analyzed the entire genomes of both species, and they found only six regions (or .03 percent of the genome) that showed strong differences. One of these regions has a gene that appears to control throat coloration; the black throat of the Golden-winged Warbler is a classic Mendelian recessive trait, occurring only in birds that have a pair of recessive alleles for this trait. Another region likely controls body color; the yellow body of Blue-winged Warblers is another recessive trait. 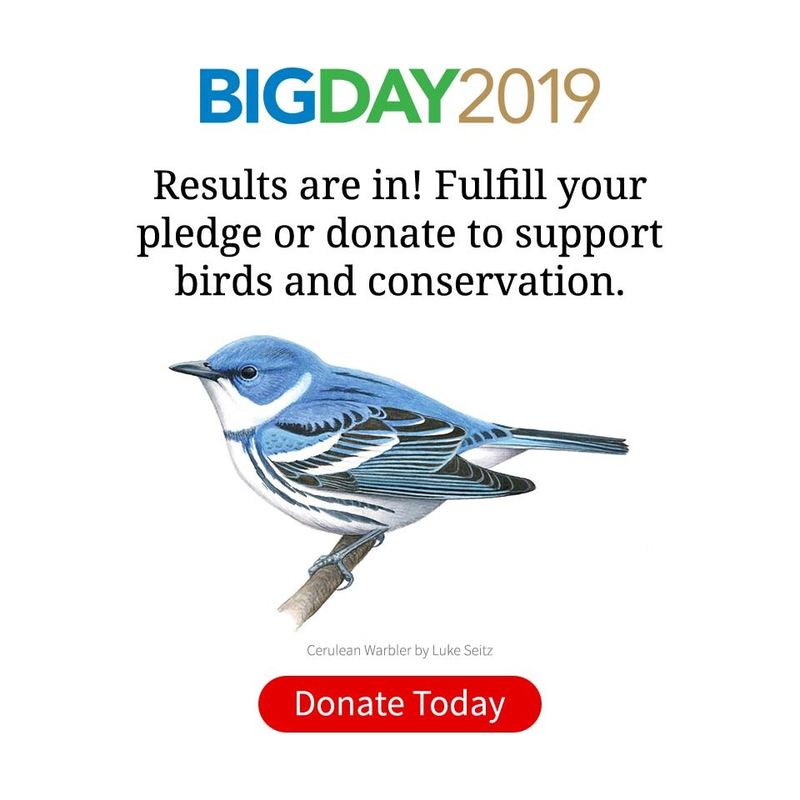 The research supports a model proposed by John T. Nichols of the American Museum of Natural History back in 1908 that the Brewster’s form of Golden- and Blue-winged warbler hybrids is an expression of dominant traits, and the Lawrence’s form is a recessive trait expression. Put another way, the striking visual differences between Golden- and Blue-winged warblers could be considered akin to the differences between humans with and without freckles. The research also shows that golden-wings and blue-wings have even less genetic differentiation than two subspecies of the Swainson’s Thrush, the Olive-backed and Russet-backed forms. A Golden-winged Warbler sings in New York. Video by Benjamin M. Clock/Macaulay Library 76415. The interactions between Golden-winged and Blue-winged warblers have been a dilemma for conservationists. Hybridization was perceived to be a threat to golden-wings, as it was thought that the more numerous Blue-winged Warblers would genetically swamp the rarer golden-wing gene pool. And it was thought that forest clearing by European settlers starting in the late 1700s caused the habitat changes that brought the two species together, thereby causing their hybridization. A Blue-winged Warbler sings in New York. Video by Eric S Liner/Macaulay Library 469433. In using the whole genome to look deeper into these birds’ evolutionary histories, Taylor and Toews made a surprising discovery—it turns out that these two species have probably been intermixing, at least intermittently, for thousands of years, well before Europeans colonized North America. Hybridization was one of the threats identified in the national Golden-winged Warbler Conservation Plan, published by a consortium of conservation groups and government agencies in 2012, but loss of young forest habitat was cited as the primary threat and most of the work driven by the plan has benefited both golden-wings and blue-wings. Hybridization, and the question of human causation, may play a role in the U.S. Fish and Wildlife Service’s upcoming decision on whether Golden-winged Warblers warrant federal protection under the Endangered Species Act. ESA protection for golden-wings has been argued in the courts, and a final decision by USFWS is due by 2017. Lawrence's Warbler by Corey Hayes via Birdshare. Brewster's Warbler by Corey Hayes via Birdshare. Tom Will, the USFWS Midwest Region Migratory Bird Coordinator, says the research shows that hybridization should not be considered a threat to the survival of Golden-winged Warblers. Just to make matters more confusing, some individuals appear to be a mix of the aforementioned warblers. This individual is an “introgressed” warbler, meaning that it looks like a combination of a Golden-winged Warbler and a Blue-winged Warbler. Photo by Corey Hayes via Birdshare. That complex, the Vermivora branch of the warbler tree, once held a third species—the Bachman’s Warbler, discovered by that same Lutheran minister and named by Audubon for his friend. Bachman’s Warbler is one of the few North American bird species to have gone extinct in modern times. Will says that, in his personal opinion, golden-wings and blue-wings may have already evolved their own way to try to escape the Bachman’s Warbler’s fate.